Lucid Technologies, Inc's Oracle practice specializes in helping clients implement, upgrade, and maintain Oracle's entire application suite including Peoplesoft and JD Edwards. We have helped clients, leverage their Oracle Applications to improve business processes, reduce costs and provide better support for management decision-making. We provide expert project management, application and technical consulting, database administration and infrastructure support that allow clients to take maximum advantage of the rapid advance of technology. While our consulting solutions range from project strategy and planning, software assessment and selection, to implementation and integration, hosting and change management, translating to higher productivity, lower costs and accelerated return on investment. The foundation of our success with Oracle Applications is through our distinctive methodology that assures our clients the highest level of quality in implementing Oracle Applications, resulting in cost-effective, on-time projects. Our comprehensive risk assessment dramatically reduces the time and cost associated with more traditional approaches, and our client-specific prototype promotes end-user participation, training and acceptance throughout the implementation process. Lucid Technologies, Inc can help design and implement NetWeaver solutions for your organization using NetWeaver's key components. The benefits of these solutions are huge, and include being able to quickly adapt business requirements into real solutions and reduce the TCO of your IT infrastructure. Our Basis Experts provide clients with highly available IT infrastructure solutions, consulting, integration and support services. We offer Business Process Transformation solutions, from Process Analysis to building and monitoring Business Processes, as well as aligning and streamlining processes to support business strategies. Customers have access to the industry know-how, best practices and decades of expertise in deploying global infrastructure solutions. In an information sensitive global business environment, nuggets of information that a company has to the exclusion of it's competition is a big bonus. The case of unstructured, unclassified strands of information, residing in corporate information silos that no one knows exist is both a major obstacle and a tremendous opportunity. This is where mySAPTEnterprise portal solution fits in to the solution landscape. A well architected solution, provides a comprehensive, methodical and easy-to-access repository of previously unstructured information, which can now be made available as actionable Intelligence and makes it available to your employees across times zones and geographical borders. The sophisticated fuzzy search and intuitive authoring and publishing of this solution makes user acceptance a cinch. And the best part is that you can integrate it with other non-SAP related portals and empower the decision makers with a global view of the intra-company information. The single most important benefit of utilizing SAP XI ( a SAP NetweaverT component) is a process centric approach across heterogeneous landscapes- so that the focus on the business process is not lost in the decision making iterations for evaluating IT landscapes to support the proposed solution. Problems of iterative landscape design, has led to heterogeneous landscapes to support a majority of the IT application processes. To achieve a better fit and greater support of business functionality several sub-systems which are primarily developed to fill some gaps have evolved. As the business grows these systems often hinder seamless integration with a process-centric approach , as opposed to a system- centric slant. As a result the TCO of the landscape tends to remain high and affects a fresh new look. There are situations where some home grown application are filling a niche need admirably and hence need not be replaced. In other cases, to completely gut the existing landscapes is not a viable option. If the goal ultimately is to create an ESA ( Enterprise Service Architecture) blue print, SAP XI provides a valuable pathway. 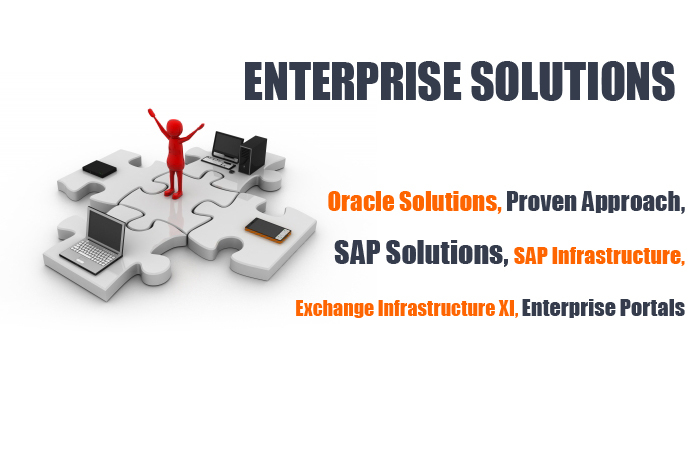 SAP XI runs on SAP Web AS component, and comes with connectivity , protocol and format flexibility for seamless integration. The availability and pro-active application of business critical information - Business Intelligence (BI) -enables companies to respond to the dynamic changes in the business scenario, and thereby retain their competitive edge. Insight into competition, market dynamics, customers, products and operations across the value chain allows companies to substantially increase revenues and reduce costs - enhancing bottom-line profitability. The challenge is unfolding the business value emerging out of a BI solution, that otherwise remains untapped in a host of isolated data sources across the organization. Our BI practice has helped clients leverage business-critical information across enterprises for intelligent and pro-active decision-making. The business processes surrounding Customer Acquisition, Interaction, service history and dispute resolution are increasingly important and integral to profitability by assuring customer loyalty in a hyper competitive global environment. As corporate entities continue to reap the benefits of globalization, they also face uncertainty in terms of managing steps. The traditional linear Supply Chain Management no longer can work well for a company whose supply chain spans the globe. This environment demands a highly synchronized and adaptive supply chain model. SAP SCM T suite provide a comprehensive set of application to successfully implement a Demand Driven Supply Chain management solution, which is transparent, adaptive, and transcends barriers for active collaboration with your supply chain eco-system. The mySAPT Supplier Relationship Management (mySAP SRM) solution provides a systematic approach for formulating and optimizing a global sourcing strategy. By consolidating and anticipating supply needs of a company, analyzing historical buying patterns, and tracking current market trends, corporations can help evaluate the capacity of suppliers all over the world to deliver high-quality goods that match the specific needs of the company.